I love working with the Scottsdale Convention & Visitors Bureau and my latest assignment was the most fun yet - interviewing three of Scottsdale's most talented and acclaimed chefs. 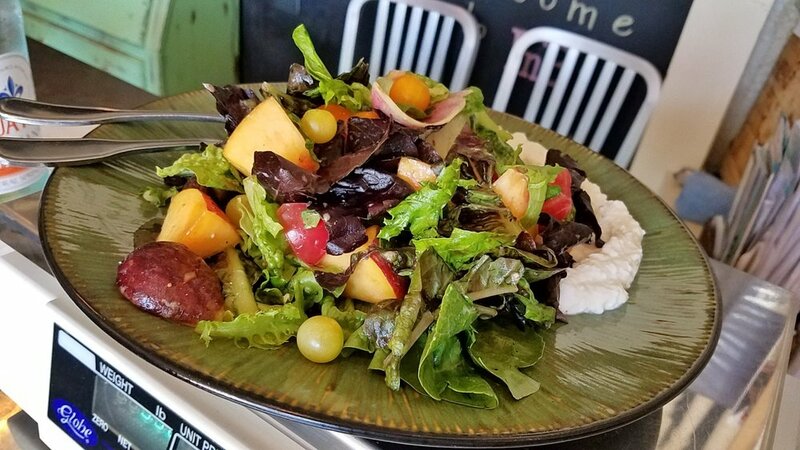 On Thursday, August 25th, I sat down on a sunny afternoon at The Bodega in Old Town to talk about our thriving Scottsdale culinary scene with Executive Chef Beau Macmillan of Sanctuary Camelback Resort, co-owner and Chef Charleen Badman of FnB, and Executive Chef Mel Mecinas of the Four Seasons Scottsdale Resort. You can find this four-page feature in the 2017 Visitors Guide. Needless to say, FnB spoiled us with wonderful dishes showcasing Arizona's bounty and Chef Charleen's delicious craft, all accompanied by co-owner and wine expert Pavle Milic's Los Milics Ita's Rosé wine. 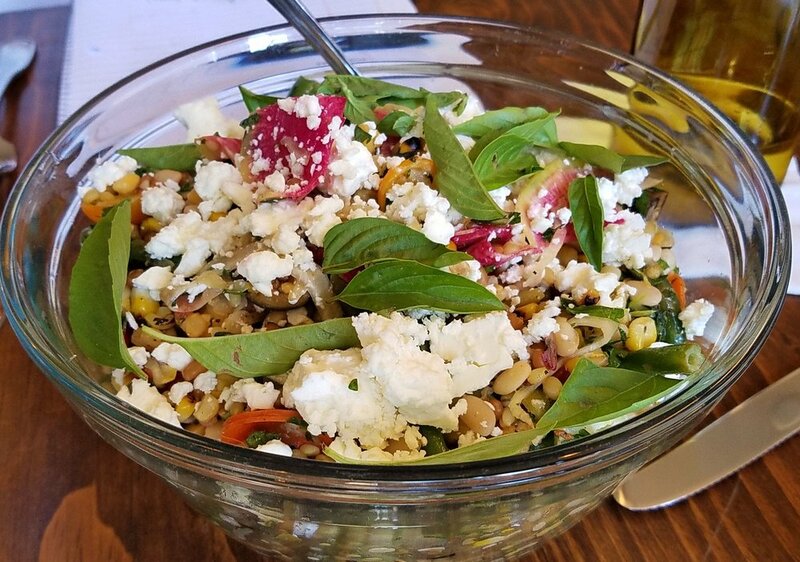 Hayden Flour Mills grain salad with tepary beans, radishes, basil, and goat cheese. The Bodega and Red Goat Wine was the perfect spot for our lively discussion as we were surrounded by their well-stocked shelves of artisanal ingredients and local products and Pavle's curated wine selection. Thank you to FnB, the chefs, and the Scottsdale CVB for a fantastic afternoon!